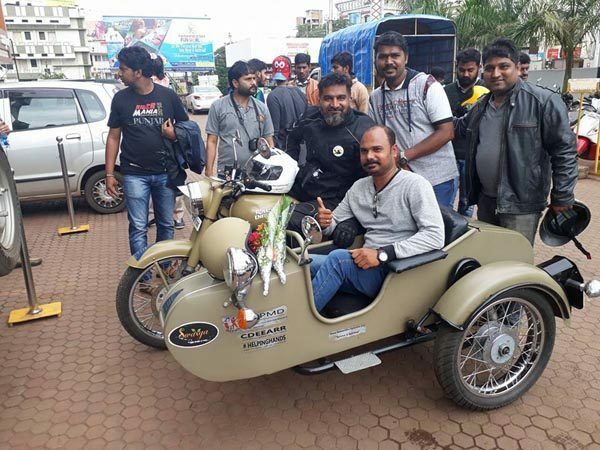 Lalith who wants to conquer the highest motorable pass in the world, was in Belagavi en route his tour to Kashmir on Sunday, on his retrofitted Royal Enfield Classic Desert Storm 500 cc bike. ‘Will power knows No Obstacles’ it’s just not a quote but a reflection of myself says Lalith Natarajan, a 37-year-old Coimbatorean affected with Transverse myelitis, a rare neurological condition and a passionate biker. For most handicapped people, their disabilities are perceived as barriers, but Lalith Natarajan stands out from the rest. 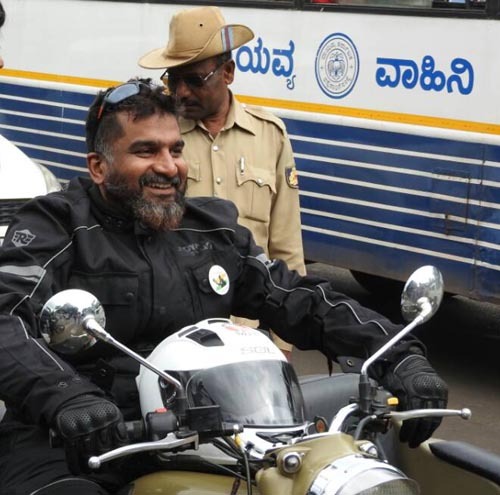 Lalith Natarajan, is a passionate biker who is now ready to break all stereotypes associated with the differently abled as he is a set to embark on a journey from Kanyakumari to Kashmir on his Royal Enfield 500 cc bike. He dropped out of school, with incontinence being another major impediment, Lalith found himself spending long hours in bed, immobile, with nothing to do and no focus in life, for the next few years. But his will power and determination brought him out of this state. He started his education from where he left off in the homeschooling and today, 37-year-old Lalith has a string of degrees attached to his name – Bachelor in Social Work (BSW), B.Sc. in Psychology, MBA, M. Phil., and is pursuing LLB. He is the Founder of the NGO ‘Love and Acceptance’ that works for the rights of people with disabilities, especially those with spinal cord injuries.